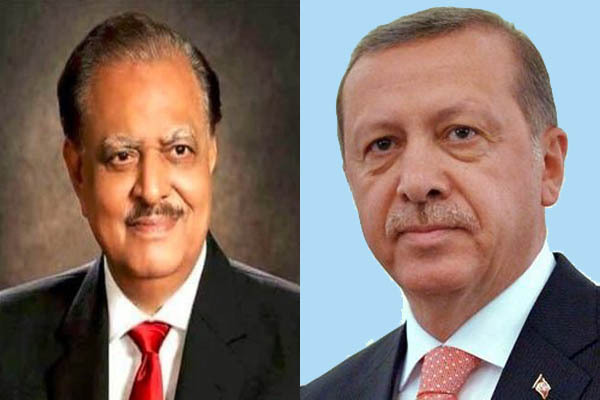 ISLAMABAD, Jun 25 (APP):President Mamnoon Hussain, on behalf of the Government and people of Pakistan, has extended heartfelt felicitations to President of Turkey Recep Tayyip Erdogan on his victory in the elections. The president underscored that the large turn-out and the peaceful conduct of the parliamentary and presidential elections was a testimony to the strength and vibrancy of Turkey’s democratic values and institutions, the Foreign office said in a press release on Sunday. Mamnoon Hussain also expressed the hope that Turkey would continue on the path of progress and prosperity under the leadership of president Erdogan and the historic and unparalleled bilateral relations between Pakistan and Turkey would continue to grow from strength to strength.